I know it is a touch early for Spring, but not to early to clean the toxins out of our systems and get ready for a healthy Spring and Summer, maybe with a detox diet. There are dozens of detox diets out there and some are down right bad for your kidneys and liver. Be careful and use common sense, these diets are not for the faint of heart. It is important to be prepared both mentally and physically for this diet. Detox diets are not intended to cure disease, just to allow the body to run more efficiently, kind of like a car tune up. If you have problems like high blood pressure, kidney disease or heart disease, consult your doctor before starting any diet. Take the Detox Screening Quiz. Detox diets are touted as a way to remove toxins from the body. Specific detox diets vary — but typically a period of fasting is followed by a strict diet of raw vegetables, fruit and fruit juices, and water. In addition, some detox diets advocate using certain herbs and other supplements along with colon cleansing (enemas) to help empty the intestines. Most detox diets last seven to 10 days. If you’re considering a detox diet, get the OK from your doctor first — and remember, the best diet is a healthy diet based on fruits and vegetables, whole grains and lean sources of protein. A detox diet is a good idea when you might have been over indulging in the wrong things for a period of time, or if you’d like to get a jump start on losing weight and/or are interested in getting the toxins and chemicals floating around in and on your body, out and off. A good old detox can get rid of that bloated feeling and restore energy. Your body will be able to accept more water and oxygen from the food you eat and your skin will look and feel better. 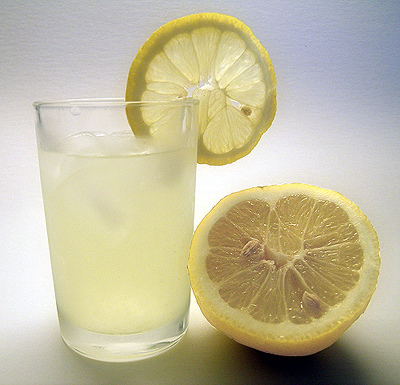 Detox diets generally last from 3 to 21 days. As I mentioned before, we ingest an amazing amount of chemicals, pesticides and hormones in the food we normally eat. Even if you are trying to maintain a healthy life style, you are bound to have eaten some processed or canned food. Been sick, having headaches, stomach problems, bloated, had some drugs administered? You need to detox. Our bodies naturally remove toxins that we consume but a detox diet gives that body time to remove more toxins before we put more back in. As with most things, I recommend that you start slowly. If you’ve never been on a detox diet before, start with a 3 day diet and see how it goes. The Fat Farm does not recommend extreme diets of any kind. If you must try these diets, start small and don’t go longer than a couple of days. Here is a link to several more. click here.